People write emails in their daily life for a various purpose. Working in tandem with the from line, the content of a subject line matters whether a recipient will open an email, delete it immediately, ignore it, file it for future access, report it and/or filter it as spam. 1. Segment/Personalize: Personalize doesn’t take it in sense taking name with priority in the subject line and then followed with some base information. If you are segmenting your list in any way, then each segment should likely receive appropriate and different subject lines. 2. “Brand” Your Subject Line: Practice that has really taken hold in the last year or two is including the name of your company or newsletter/promotion in the subject line, usually at the front and they are enclosed in brackets for notice. 4. Have Someone Else Write, Edit or Review Subject Lines: Have someone other than the person who creates the email itself write, edit or at least review the subject line. Use this person like a newspaper headline writer and have them push your copy to another level of relevance and creativity. 5. Send Subject Lines to You: One of the best gauges of the strength of a subject line is to send sample emails with different subject lines to yourself. 6. AOL Subscribers: If you have a high number of AOL subscribers, we generally recommend that you create different versions of your emails. Use peculiar small and more conservative subject lines and include your company or newsletter name, as the AOL client displays the from email address in the inbox, not the from name. 7. “Listen” – Monitor Your Inbox for Ideas: The greatest inspiration for writing subject lines may come from monitoring your own inbox. What type of subject lines intrigue your interest and motivate you to open them immediately? Which kind do you not delete or file, but generally never go back and open? 8. Track Which Subject Line Types Work Best for You: Track and analyze the type of subject lines that produce the best open and click-through rates. open rates gives the complete measure of the subject line to drive the complete recipients for the action purpose click on a specific link or links. 10. Test Length – Short versus Long: Analysis of data from our client base suggests that subject lines of less than 50 characters achieve higher open rates than those of 50 or more characters. That being said, there is much debate about shorter versus longer subject lines that encompass more information for recipients. Test various styles and lengths and see what generates the best results with your recipients. 11. Focus: Avoid The Generic and Boring: Don’t be afraid to be very specific in subject lines. Many email marketers use broad and generic subject lines, such as “May 2004 Newsletter” because they fear that a specific subject line may not resonate with all readers. First, remember that generally only 25 to 50 percent of your recipients are opening your emails to begin with. 12. Write It Early: Perhaps the most common mistake email marketers make is waiting till the last minute to get framed with the subject lines. Don’t. While everything is still fresh, jot down potential subject lines for your next email. As you pull together your email content, continue drafting up various subject lines allowing you to just tweak or decide which version to use – rather than starting from scratch at the last minute. 13. Push the Envelope: Never step back to use a subject line with creative or aggressive in nature. Try some new styles and test them via split tests. Monitor the results across all metrics open rates, click-through rates, spam complaints, bounce rates and unsubscribe to make sure that a bump in your open rate didn’t lead to an increase in unsubscribing, bounces and spam complaints. 14. Test: The most certain way to know if something is working is to test it. Subject lines are, in fact, the easiest component of email marketing to test. Split and check thoroughly. A key is to test types of subject lines so that you can carry the learning into future distributions. Secondly, you should test at least a few times to make sure your findings were correct. There are so many trends change after every year as per the update in the Google algorithm, so, it’s time you need to watch for trends in 2018. So, what are you waiting for in the fore coming trend? Look below and see where you actually are in the trend and what changes you need to make in your strategy for better outcomes. Site Quality Matters: With this as a primary motto Google strive to satisfy and, therefore, if you want to come in its good book or improve the ranking, so you have to improve your site quality. This may increase traffic on the web and many views on website, pages per session and bounce rate, etc. Double the Quality Of Your Content: Content adds value to your website and increases customer time on your website as well. Plan for the most visitors to revist the website consequently. Smartphone’s acts as a Primary Search Device: Considered as the most important gadgets and in the coming years, as it s very helpful and used as a primary device and that enhance to visit site very often. 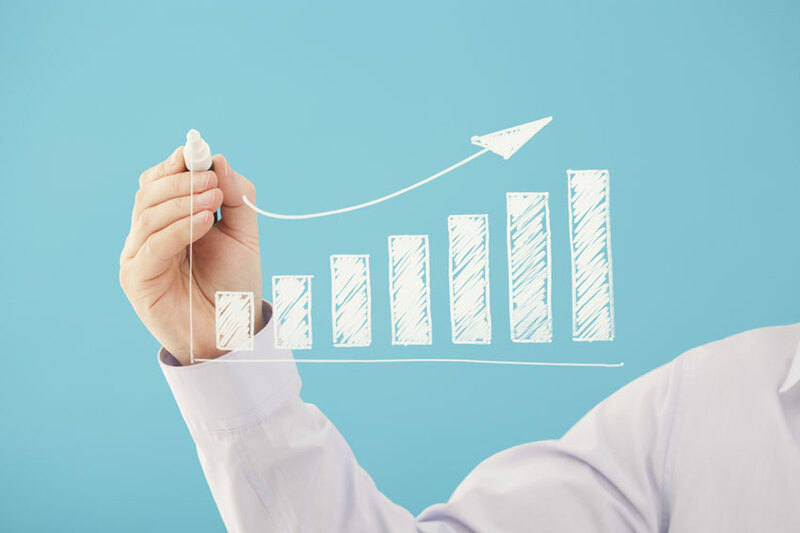 These upcoming trends give the complete growth for your overall business and never take it for granted. Hire a professional SEO expert who handles well with the website rank and move ahead to the next higher level in your current market. Getting people to your website is difficult, keeping their attention and turning them into customers is even more difficult. What does a company’s website need to have in order for visitors not to leave? Maximizing impact of every email can be done if you follow these rules. First of all the links in your marketing email are very important. Well placed and easy links should be used. A Link should never take more than 30 seconds to find. When clicked the visitor should be brought straight to a dedicated landing page. Not landing on the campaign page means the visitor has to go searching the website. Another thing is to pay attention to your headlines throughout your sales page. Many people will read the headline, become a bit interested, and then scan through the sales page and read only the minor headlines throughout your site. Keeping them congruent with your main message and also ordering so that just by reading them alone, you’re reading will make a conclusion is a good idea. Creating an effective landing page is extremely important in turning your visitors into customers. The marketing email and landing page need to be made simultaneously. They should match visually with regards to color, text, graphics etc. The offer/discount in email should also match what is offered on the landing page otherwise visitors are left confused. The minimal material is needed on this page. Nothing other than offer details and appropriate links is required. No other products other than the campaign one should be on this page. The visitors would only get confused if more products were advertised on the same page. The first thing to check is your headline. There are plenty of different ways to express your product. But the job of a headline is supposed to do one thing: Create enough interest so your reader will keep on reading. Some headlines will offer a big promise. Others will be in the form of a hot testimonial. Still, others will be some kind of catchy phrase that has a couple different meanings. This will entice the reader to keep reading just to find out what the heck you’re talking about. The sub-headline is also extremely important. It should expand a bit on the main headline. Tell the reader just what kind of benefit they are about to receive. This can be a little bit longer than your main headline. Making a purchase or investigating links are the options possible on this page. The desired result of a campaign would be if the customer buys from your website. Although the further exploration of the website can lead to future purchases. The undesired result is for visitors to click away from the landing page. Get explored with the site easily and thoroughly that would lead to this. Links and buttons should be simple and clearly understandable. The number of people coming back to your site will be reduced if your website is not easy to use. A company can demonstrate their abilities through their emails and websites. Optimizing your site to attract customers and more importantly keeping them on it is an important step in getting the most out of your website. Every business needs to be involved in making sure that their website is positioned correctly to take advantage of customer’s needs and requirements. The website should be set up and designed in an easy to use manner but allowing the users to follow the actions you want them to take. In this way, you can start to improve your conversion rates and increase sales. Companies simply can’t afford to miss out on this opportunity to increase revenue. You can be sure that if you’re not doing it, your competitors will be! Currently, the powerful blogging tool is nothing but WordPress. It is the most popular platform used by many bloggers to create powerful websites. Millions of people are depended on these exclusive themes in creating elegant blogs. WordPress is not just a popular blogging platform it is also powerful CMS powered by PHP and MySQL. It was equipped with various features that include an architecture of plug-in and a template system. Web designers also need to consider few other important factors before creating the best and informative blog for the viewers. The selection of the theme which is very important chooses the theme which suites to your website and it should be content oriented so that you can give clear vision and information to the viewers about your online business and they also get an perspective info for which they are looking for. Informative websites always catch viewer’s eye. The unique theme should get supported with a friendly environment of SEO, WordPress users may get installed and provides with the option to get switched between various themes. With its best featured, WordPress is its powerful welsl planned plugin which allows both the users and developers to stretch with the given functionality along with the core installation. All these small but major things need to be taken care before providing the best blog using the best free or Premium WordPress Themes. A Blog Where you post useful articles pertaining to a niche to answer a need, and if you know what you’re doing, you can make money doing so, but that’s another topic. Nowadays practically any business would benefit from a website, reaching more customers and doing so easily, but don’t limit yourself by using free website builders, because it’s free for a reason and you need to make a good first impression! Read on to find out what WordPress is and what it can do for you. Switch between themes, change functionality, install a plug in WordPress just allows you everything. WordPress has a database of over 18,000 plug-in and with PHP and HTML coding, blogs and websites are able to have unique looks and functionalities. Multi-blogging got introduced with WordPress 3.0 and it supported the WordPress Multi-User option through which it became possible for the users to host their own community and moderate all the blogs from a single dashboard. Other features that WordPress development services take care like link management, search engine friendly blog URLs, the clean structure of the permalink, multiple category choices, tagging to posts or articles even on the social networking sites. Today applications exist even for the mobile devices. Users can check, surf, edit and upload blogs from their Windows phone, Androids or iPhone easily. If you are outsourcing blog management to any of the WordPress companies then developers also focus on Custom WordPress development, similarly for websites. Often, the websites have the blogs. The new theme directory created by the skilled designers for the purpose of changing the background theme of the blog gives the most unique look to any personal or corporate blog. Corporate blogs just like personal ones are emerging to be interactive platforms. Fashion, food, entertainment, restaurant and sports blogs are being created by the best WordPress designers with ease today. In WordPress development services, blogs are regularly updated, user and customer feedback is encouraged with proper comments on the bottom line section and published and all minor issues related to blogging are dealt with professionally. From design, hosting, development, and maintenance, everything can come under one single package at a discounted price. Get to know the keen concentrated topic area to get covered fully with either niche or genre. Have a great aspire to write with what you want to blog about at the website. If you want to occasionally post with the general article like beauty tips, natural food intake, movie reviews, and music, you can do so as well. There are a few platforms you can select from, and arrives with the popular search as Blogger and WordPress. Both of these blogging platforms are used by many of the bloggers as it’s much user-friendly. WordPress does have more features and options in terms of SEO, plugins, themes etc. but if you are skilled in working at HTML, you can also carry out a lot by using Blogger. It is also important to get your blog with a domain named like a .com or .ca so that you can secure the name you want online and to avoid having your blog’s name taken away from you in the case that you become very successful. Having a .com or .ca domain name is essential for branding than having a domainname.blogspot.com or domainname.wordpress.com type of structure. You can purchase your domain name from WordPress, Blogger, or Namecheap. People write emails in their daily life for a various purpose. Working in tandem with the from the line, the content of a subject line matters whether a recipient will open an email, delete it immediately, ignore it, file it for future access, report it and/or filter it as spam. #1. Segment/Personalize: Personalize doesn’t take it in sense taking the name with priority in the subject line and then followed with some base information. #2. “Brand” Your Subject Line: Practice that has really taken hold in the last year or two is including the name of your company or newsletter/promotion in the subject line, usually at the front and they are enclosed in brackets for notice. #4. Have Someone Else Write, Review Subject Lines: Have someone other than the person who creates the email itself write, review the subject line. Use this person like a newspaper headline writer and have them push your copy to another level of relevance and creativity. #5. Send Subject Lines to You: One of the best gauges of the strength of a subject line is to send sample emails with different subject lines to yourself. #6. AOL Subscribers: If you have a high number of AOL subscribers, we generally recommend that you create different versions of your emails. Use peculiar small and more conservative subject lines and include your company or newsletter name, as the AOL client displays the from the email address in the inbox, not the from name. #7. “Listen” – Monitor Your Inbox for Ideas: The greatest inspiration for writing subject lines may come from monitoring your own inbox. What type of subject lines intrigues your interest and motivate you to open them immediately? Which kind do you not delete or file, but generally never go back and open? #8. Track Which Subject Line Types Work Best for You: Track and analyze the type of subject lines that produce the best open and click-through rates. 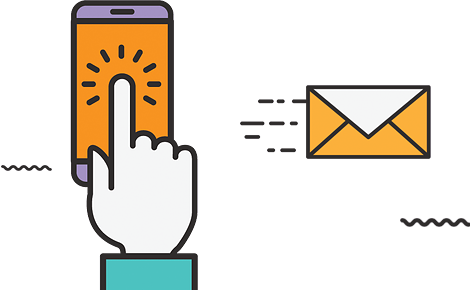 Open rates give the complete measure of the subject line to drive the complete recipients for the action purpose click on a specific link or links. #9. Test Length – Short versus Long: Analysis of data from our client base suggests that subject lines of less than 50 characters achieve higher open rates than those of 50 or more characters. That being said, there is much debate about shorter versus longer subject lines that encompass more information for recipients. Test various styles and lengths and see what generates the best results with your recipients. #10. Focus: Avoid The Generic and Boring: Don’t be afraid to be very specific in subject lines. Remember that generally, only 25 to 50 percent of your recipients are opening your emails to begin with. #11. Write It Early: Perhaps the most common mistake email marketers make is waiting till the last minute to get framed with the subject lines. Don’t. While everything is still fresh, jot down potential subject lines for your next email. As you pull together your email content, continue drafting up various subject lines allowing you to just tweak or decide which version to use – rather than starting from scratch at the last minute. #12. Push the Envelope: Never step back to use a subject line with creative or aggressive in nature. Try some new styles and test them via split tests. Monitor the results across all metrics open rates, click-through rates, spam complaints, bounce rates and unsubscribe to make sure that a bump in your open rate didn’t lead to an increase in unsubscribing, bounces and spam complaints. #13. Test: The most certain way to know if something is working is to test it. Subject lines are, in fact, the easiest component of email marketing to test. Split and check thoroughly. A key is to test types of subject lines so that you can carry the learning into future distributions. It is considered as the crucial element of any inbound strategies of various marketing. Companies always look to have increased the count of landing pages. Try to understand the overall campaign goal, get to know the elegant and straightforward headlines, crafting with the complete flow of text, get used to fixing with the related images, get highlighted with the value proposition. Here always the loading time matters a lot. Get optimized with all your form fields. #1 Creating an effective landing page is extremely important in turning your visitors into customers. The marketing email and landing page need to be made simultaneously. They should match visually with regards to color, text, graphics etc. The offer/discount in email should also match what is offered on the landing page otherwise visitors are left confused. The minimal material is needed on this page. Nothing other than offer details and appropriate links is required. No other products other than the campaign one should be on this page. The visitors would only get confused if more products were advertised on the same page. #2 The first thing to check is your headline. There are plenty of different ways to express your product. But the job of a headline is supposed to do one thing: Create enough interest so your reader will keep on reading. Some headlines will offer a big promise. Others will be in the form of a hot testimonial. Still, others will be some kind of catchy phrase that has a couple different meanings. This will entice the reader to keep reading just to find out what the heck you’re talking about. #3 The sub-headline is also extremely important. It should expand a bit on the main headline. Tell the reader just what kind of benefit they are about to receive. This can be a little bit longer than your main headline. #4 Making a purchase or investigating links are the options possible on this page. The desired result of a campaign would be if the customer buys from your website. Although the further exploration of the website can lead to future purchases. The undesired result is for visitors to click away from the landing page. Get explored with the site easily and thoroughly that would lead to this. Links and buttons should be simple and clearly understandable. The number of people coming back to your site will be reduced if your website is not easy to use. A company can demonstrate their abilities through their emails and websites. #5 Optimizing your site to attract customers and more importantly keeping them on it is an important step in getting the most out of your website. Every business needs to be involved in making sure that their website is positioned correctly to take advantage of customer’s needs and requirements. The website should be set up and designed in an easy to use manner but allowing the users to follow the actions you want them to take. In this way, you can start to improve your conversion rates and increase sales. Companies simply can’t afford to miss out on this opportunity to increase revenue. You can be sure that if you’re not doing it, your competitors will be! The unique theme should get supported with a friendly environment of SEO, WordPress users may get installed and provides with the option to get switched between various themes. With its best featured, WordPress is its powerful well-planned plugin which allows both the users and developers to stretch with the given functionality along with the core installation. All these small but major things need to be taken care of before providing the best blog using the best free or Premium WordPress Themes. Switch between themes, change functionality, install a plugin WordPress just allows you everything. WordPress has a database of over 18,000 plug-ins and with PHP and HTML coding, blogs and websites are able to have unique looks and functionalities. Have a great aspire to write with what you want to blog about on the website. If you want to occasionally post with the general article like beauty tips, natural food intake, movie reviews, and music, you can do so as well. Social warfare – social sharing: it offers the audience with much ease sharing all the post and images that are free. Instashow 3.0 – Instagram Feed: with the more available featuring and filtering options, it’s a most downloaded and paid Instagram plugin. WP 2x Retina – Retina-Ready Image Plugin. It gives the website a more terrible look on each mobile device. Disqus – Audience Builder Plugin: Great in syndicating with all social feeds to your website. Adsanity – Ad Placement & Management Plugin: It provides a simple approach by reducing all its complexity. It covers WordPress website into an ad server with all its contents. Max Mega Menu – One-Click Post Access: It gives improved usability with all your regular post. Theme editors work very well here for all alteration work. Google Language Translator – Text Translator: Facilitated with built-in translation tools that make more number of hits to the website. 8. Yoast SEO – Post & Page SEO Manager: All bloggers are recommended to install with the Yoast SEO plugin.